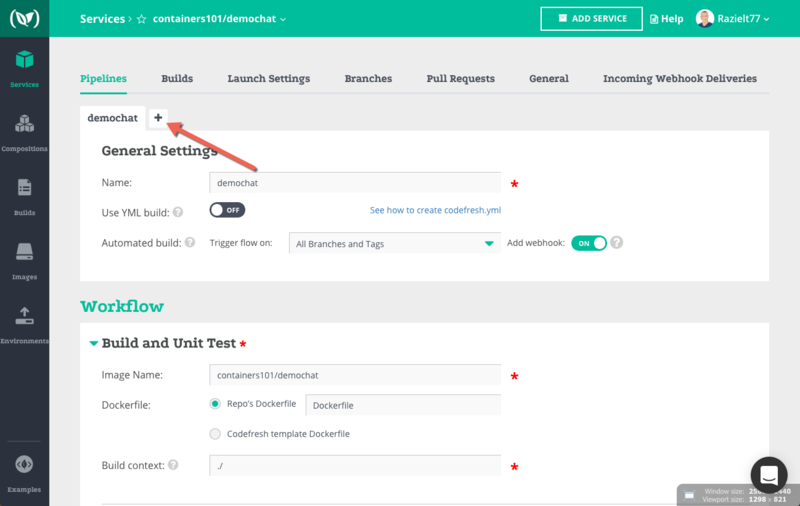 Have some suggests for Codefresh? Leave a comment! When developing at scale teams often choose to put each service in its own repo. 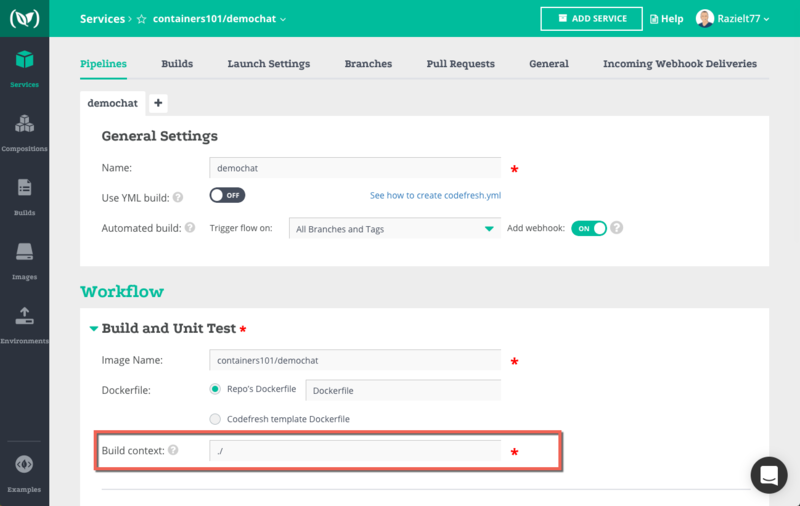 But when working with microservices, and especially with a Docker composition it’s also common to see several services in a single repo. We now fully support this development model by allowing you to define multiple services in a single repo, each with it’s own build context. The build context is defined using a relative path to your repository’s root directory. So if you have a Node.js service setup at /app/nodejs/ you can set your build context to /app/nodejs/ and all build and test scripts will execute relative to that path. To get started adding multiple services from a single repo, click the + button and set a new build context. You can read the documentation here. Feel free to leave comments below with links to your open source repos to showoff your badges! 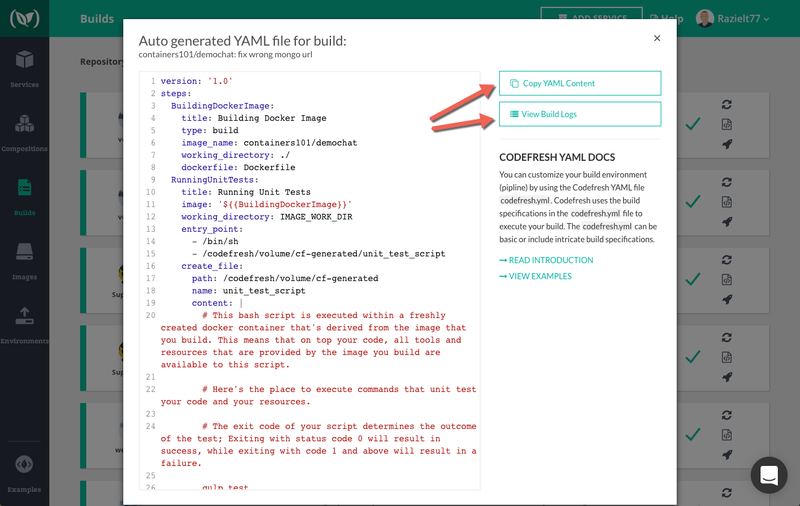 Logs have always been available for every build but you can now view the YAML file used to direct each build, whether it was auto generated or manually set. To view, goto builds and click the icon.